We design amazing websites for construction contractors & other Local Small Businesses that generate website leads. Boost your online reputation and increase sales using our expert construction website design team. Geek In NY offers professional design for business websites, search engine optimization to boost sales for small businesses, and brand reputation management to help your site maintain a highly ranked presence on the web. 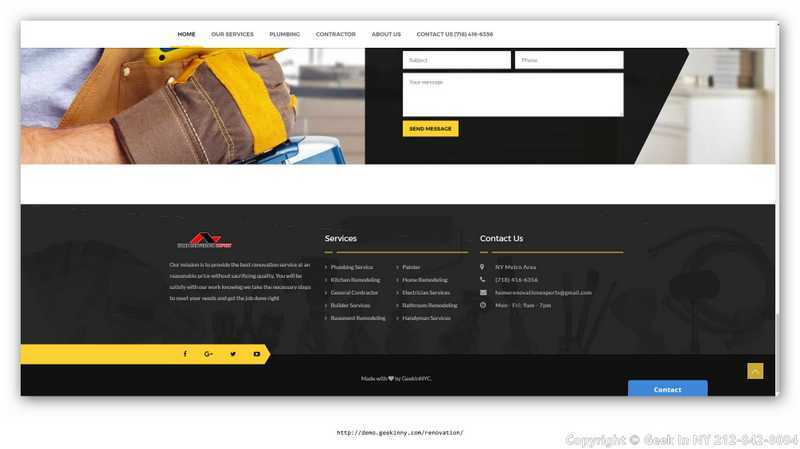 With a simple phone call to (844) 433-5692, you can receive a consultation to create a construction company website that stands out from the competition. 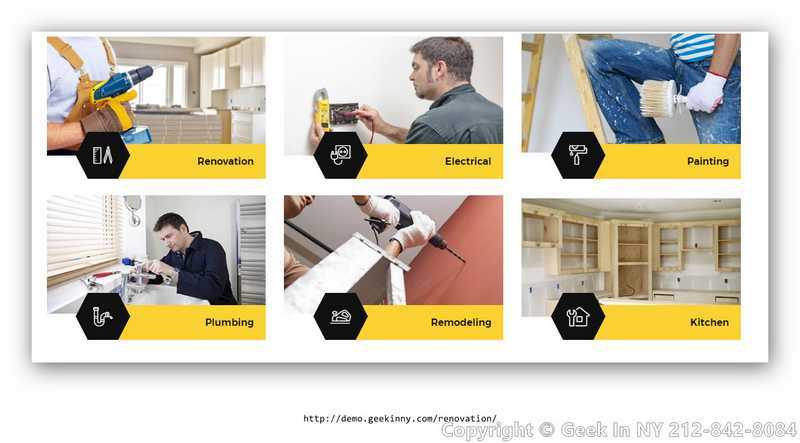 Geek In NY construction website design services address the four key components necessary to help your website succeed. Upon your first consultation, our company analyzes the best graphic design scheme to strike a chord with prospective customers. Our affordable graphic design services include logo design, landing page design, and internal web page creation. For logo design, we incorporate color psychology and corporate philosophy expertise to help your business message resonate with customers quickly and effectively. 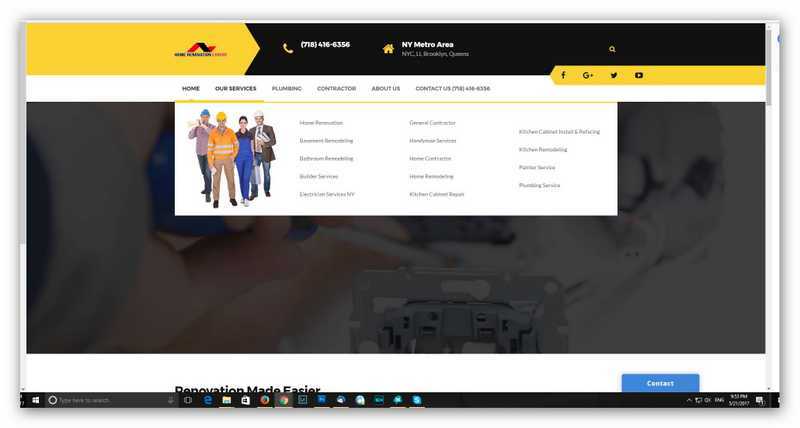 Landing page design includes responsive drop-downs and photo personalization to help customers identify with the people behind your construction company. Responsive internal product or service pages enable customers to contact you quickly, resulting in a steady stream of consumer leads for your construction or contracting business. In addition to surface design, our experts incorporate appropriate code so that your site design performs equally well on both mobile & tablets. 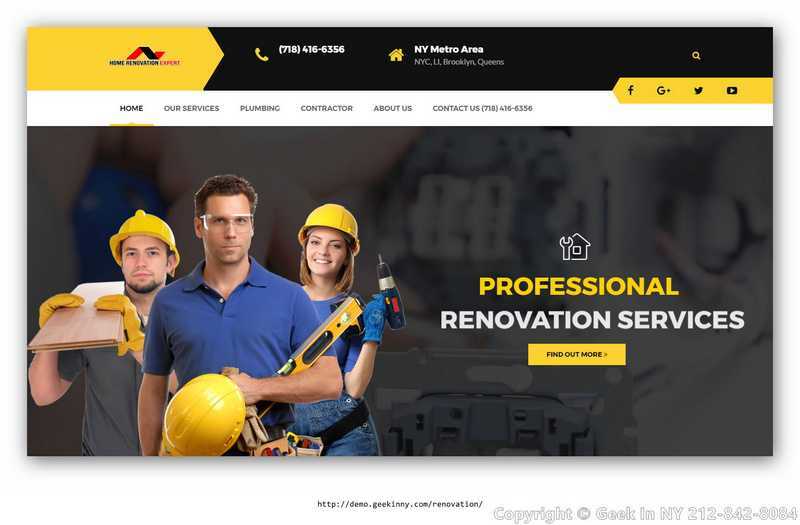 Since construction company customers may visit your website from all different types of mobile & tablets, Geek In NY can help make sure that your website is fully mobile optimized. This is important because no matter what type of device or browser your customer uses, they should be able to access your servers to place orders or interact with you regarding services. If you are having trouble with your current web or mobile optimization, call now to (844) 433-5692 for a professional website analysis. If you need to direct website traffic to your site in general, our website marketing team can enable your site to make a sweeping impact in the construction sector. We specialize in search engine optimization (SEO) for both local and national markets. This means that whether you want to market yourself in the NYC metro or greater New York area, we can appoint a local New-Yorker designer to target your most profitable business leads. For construction business owners who wish to expand their existing markets, our website marketing team can design nationwide campaigns to promote your construction and building projects as completely made in USA. Even if you need to refine your existing marketing strategy, our project managers can draft a full site redesign proposal for you. 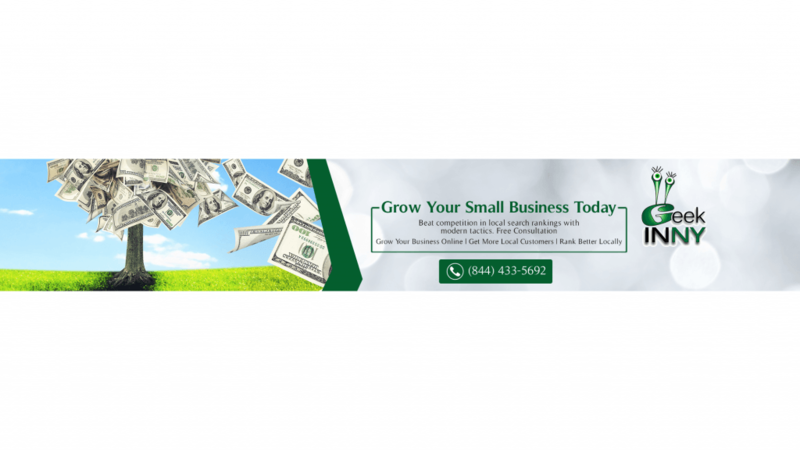 Simply call (844) 433-5692 and let us craft a take-charge marketing plan that bolsters your business.